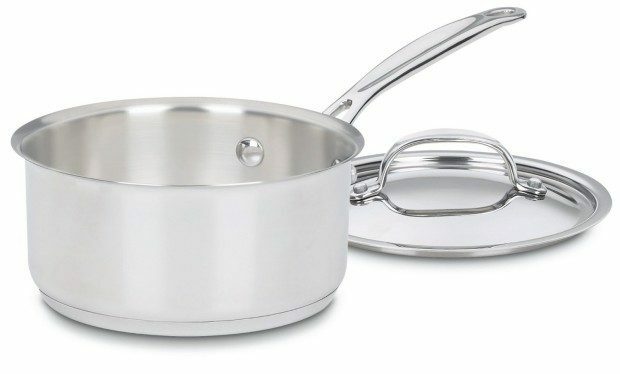 Cuisinart Stainless 1.5-Quart Covered Saucepan Only $14.96! You are here: Home / Great Deals / Amazon Deals / Cuisinart Stainless 1.5-Quart Covered Saucepan Only $14.96! Down From $40! Cuisinart Stainless 1.5-Quart Covered Saucepan Only $14.96! Down From $40! Head over to Amazon and get the highly rated Cuisinart Chef’s Classic Stainless 1.5-Quart Covered Saucepan Only $14.96! Down From $40! Shipping is FREE for Prime members or on orders of $35+!